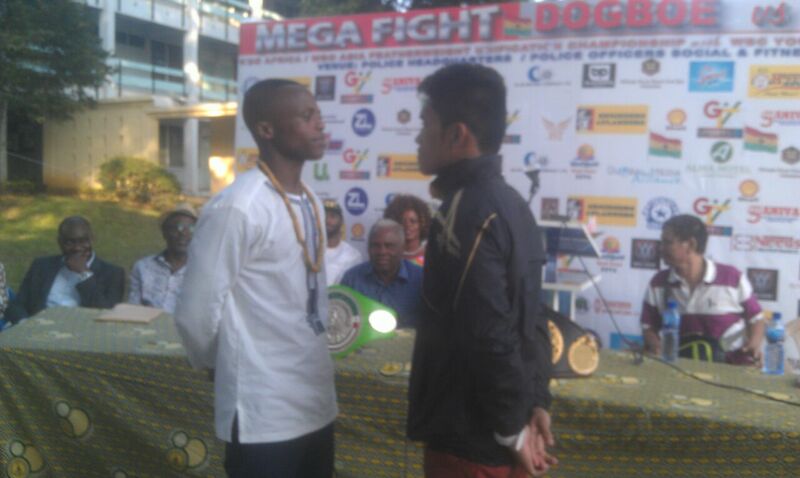 Ghana’s feather-Weight Champion, Isaac The Royal Storm Dogbey, is set to battle it out with his Pilipino counterpart Neil Jon Tabanao. The bout, which is expected to come on this Friday, has been christened as Mega Fight. The Royal Storm Dogbey, who gave a good account of himself, at the 2012 Olympic Games, promises to rekindle the lost glory, in boxing fraternity. According to the young chap, he cannot afford to disappoint his teeming fans, and Ghana as a whole. He disclosed this, at a pre match conference in Accra. Ibrahim Obeng-Mensah, report that, the much anticipated bout, saw both boxers promising a clean fight to be admired by boxing fans. The winner of the bout is expected to walk away with three titles, and a promotion to become The 5th Ranking Boxer in The Super Feather-Weight Division, of The World Boxing Organization. 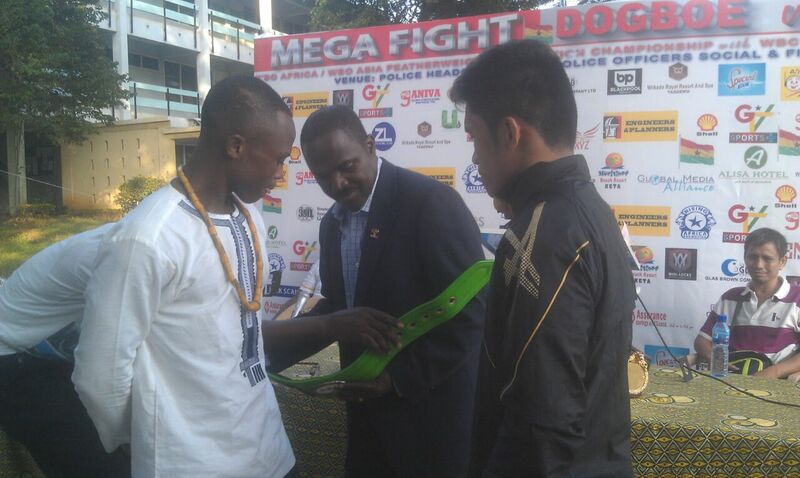 Isaac The Royal Storm Dogbey, assured boxing fans that, they will be thrilled and have no option than to admire him. Although he failed to disclose his plans, of knocking his opponent out, he said, he cannot afford to lose the bout to the Pilipino boxer. 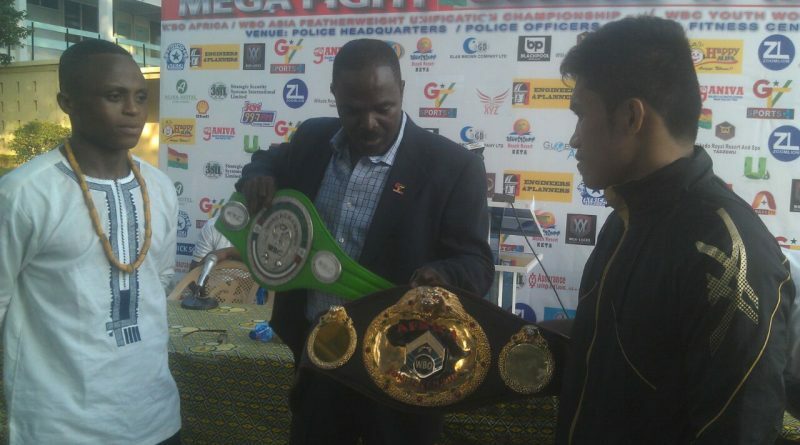 The Pilipino Boxer, Neil JonTabanao without mincing words, promised a good fight, and assured Ghanaian boxing enthusiasts, of a good run, for their money. Although, he reckoned that, The Royal Storm Dogbey, is enjoying home support, he is not perturbed. According to him, he is focused and ensuring that, he carries the night. The Public Relations Officer of The Ghana Boxing Authority, Naa Dakoah, assured the Pilipino boxer of a level playing field, to show his boxing prowess. The promoter of the bout Paul Dogbey, who doubles as Trainer and biological father to Isaac The Royal Storm Dogbey, was also thankful for the support the bout has enjoyed so far.